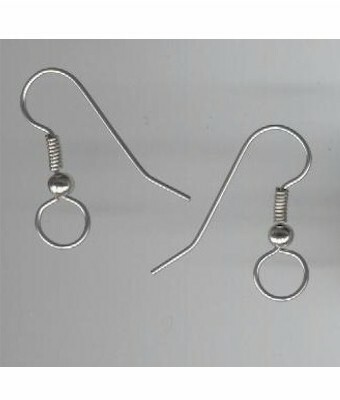 Surgical stainless steel wire. These have an extra large loop. Good for hanging larger drops. No jump rings needed.